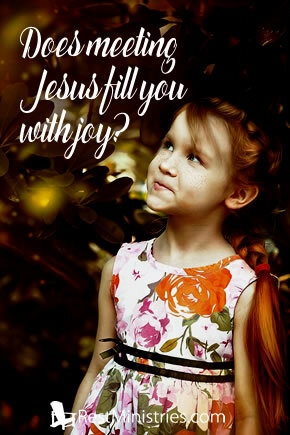 Does Meeting Jesus Fill You With Joy? Do you seek Jesus out, anticipating Him, not for what He can do for you, but to adore Him? Fiona shares. “After Jesus was born in Bethlehem in Judea, during the time of King Herod, Magi from the east came to Jerusalem and asked, ‘Where is the one who has been born king of the Jews? We saw his star in the east and have come to worship Him.’ After they had heard the king, they went on their way, and the star they had seen in the east went ahead of them until it stopped over the place where the child was. When they saw the star, they were overjoyed” (Matthew 2:1-2,9-10). Some friends and I get together regularly throughout the year, to do some card making. I’ve been working on my Christmas cards for the last month or so. This year’s card idea came to me last Christmas, but when I went to start making them, it wasn’t as easy as it had seemed in my head, but eventually it came together–and I’m happy with it. The card shows the wise men on camels, traveling across the desert with the star they are following in the distance, where Jesus is. We think of three wise men, on camels, bringing gifts–because that’s the way we see them on Christmas cards, or in Christmas stories. Whether that was how it was or not–the Bible is not clear–just wise men, or royal astrologers, or magi, from eastern lands, who followed a star and came to worship the newborn King. They travelled a huge distance, just so they could bring gifts and worship Jesus. They must have felt He was important. When the star came to rest over the place where Jesus was, it says they were overjoyed–or in the King James Version, “they rejoiced with exceeding great joy.” Sounds like they were pretty happy. So effort went into bringing them to meet Jesus and when they did, they were overjoyed. I pondered how we respond meeting Jesus. We may not be meeting Him for the first time as the wise men were, but whenever we meet with Jesus, are we overjoyed, or rejoicing with exceeding great joy? Are we prepared to put in the effort involved to meet Jesus? Relationships take effort and time and work and they need to be maintained if we want to grow closer. Jesus is there, always, waiting for us to come to Him. Prayer: Jesus, we are so grateful You came to earth for us. As we remember that again this Christmas, help us to draw close to You, worship and adore You as the wise men did. May our hearts be filled with exceeding great joy as we seek to grow closer to You, day by day. Amen. Fiona Burrows lives in Melbourne, Australia. She is thankful that God walks each step of her life with her, and that He continues to teach her new things as she learns to live with chronic back pain. She enjoys finding time for reading, writing, and photography, and to share those things with others. You can contact her in the Sunroom, or read more of her writing on her blog there. This Christmas, can you feel the joy of meeting Jesus? If Christmas seems overwhelming, how can you make it just about you meeting Jesus? Filed Under: Devotionals, Holidays, Joy, Spiritually Struggling, What's New? 4 Responses to Does Meeting Jesus Fill You With Joy? Fiona, this is what Christmas is all about for those who know Jesus as Saviour and Lord, isn’t it? Something that’s blessed me and drawn out my worship this year is working on memorizing a couple of verses (Eph.1:7,8 in the (old) Living Bible). 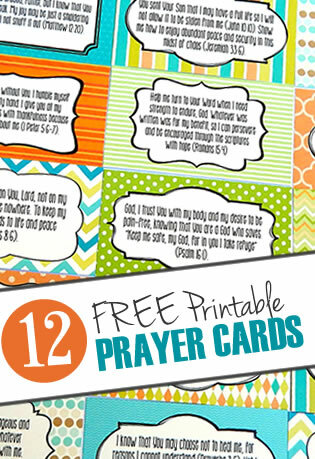 I have the words written on a 3″X5″ card and check on them several times a day. They talk about His love, grace and forgiveness. Today it snowed. We’ve had very little this year and had patches of green all over. That was a gift from the Lord. Though I don’t like the traveling complications when we have snow, I love to watch it fall and see it sparkling and pure when the sun shines on it later. It also reminds me of the verse that tells us that God is willing to make our sins as white as snow. I’m so happy to hear about your special cards! I think I’ve had to work a bit harder this year to live out that joy, but it surely “is what Christmas is all about”. Lovely to hear you are enjoying some snow (from inside) – it will be a very hot and humid Christmas Day here tomorrow, so I’ll think of you in the cooler climbs of Canada. Trust it’s a joyful and blessed celebration for you, dear friend. Fiona – this time of year is one for reflection about many things as we celebrate intentionally the birth of our Savior. I would not say I feel more joy about “meeting with Him” but I do love the holiday. I look forward to my quiet time with him each day – and knowing He is with me each day brings comfort and joy. More often than not the “feeling” of joy gets overridden by all the other “feelings” we each have as we live with a chronic condition. However, the simple “knowing” is a joy for He is JOY. Loved the video with the kids – such a great metaphor that we, as God’s grown up kids, need be filled with that kind of excitement as we come “and adore Him”. “the simple “knowing” is a joy for He is JOY” – so true and much better than relying on our feelings about anything. I’m sure the video would have brought back memories of your own school children and their excited anticipation!